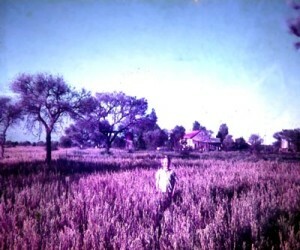 The Yamarna lease of 360,00 acres (about 140,000 hectares) was taken up by my father in 1963. Yamarna itself had no houses or buildings. There was one Government water-well about a mile from where the homestead would be established. The ‘Well’ as it was known to us had an old windlass to draw water and no windmill. In the late 1950s, the Lovicks had built a low lying tin shed at Minnie Creek about 16 miles from Yamarna. They had lived there for a few years trying to established a sheep property. They also fenced one paddock on Yamarna using the Well as their watering point. 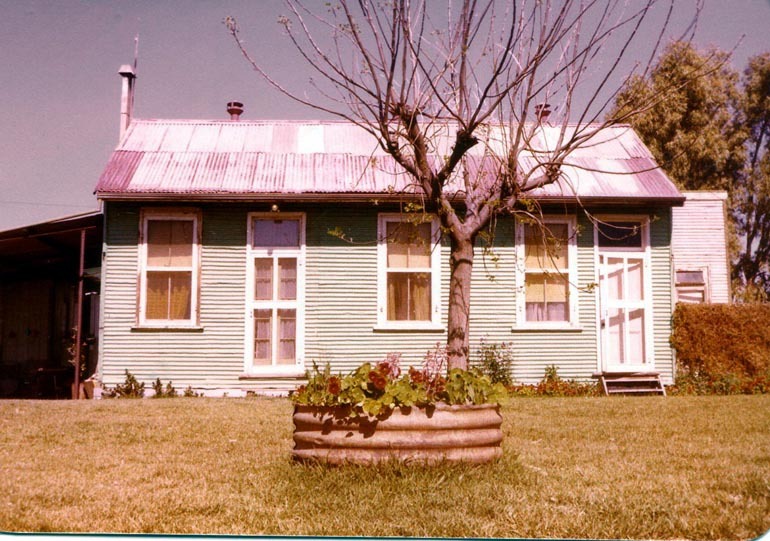 The first building on the property was transported on a low loader 314 kilometres (195 miles) from Leonora in 1964. The low loader or jinker trailer was built by my father and was pulled by a canvas roofed Thornycroft truck. The building which became my home was in fact the old Police station from Gwalia and one of the ‘bedrooms’ was the cell block. It had a massive timber door complete with peep hole. Transporting the house was no mean feat and was done in the heat of Summer. The road from the Great Central Highway to Yamarna didn’t exist then and came in through Minnie Creek. It was Christmas Day and going through the creek system an overhanging branch knocked the roof and two walls from the kitchen. Later the same day in heavy rain the truck and jinker became bogged in another old creek system, only a mile from the intended location. The house never moved again. 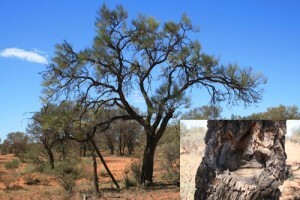 It was jacked off the trailer and remained in the creek system until it was demolished by a mining company in 2011. The cork tree stands in which my tree house was built 50 years ago, all the timbers rotted and eaten by white-ants have disappeared. However, the steps can be still be seen in the trunk. It is ironic given we basically went broke on the property, that the mining company Gold Road Resources are now developing one of Australia’s newest goldfields. Called the Yamarna Belt, it holds interests in tenements covering ~6,000 km² in the region. According to the company the leases contain a gold resource of some 6.5 million ounces. My grandfather a gold miner from the Depression years always swore (literally) that there was gold on Yamarna. In fact, my father pegged 17 lease blocks in the 1970s and had material assayed. CRA now Rio Tinto did express interest but the deal fell through. A few ounces of the gold back then wouldn’t have gone astray!